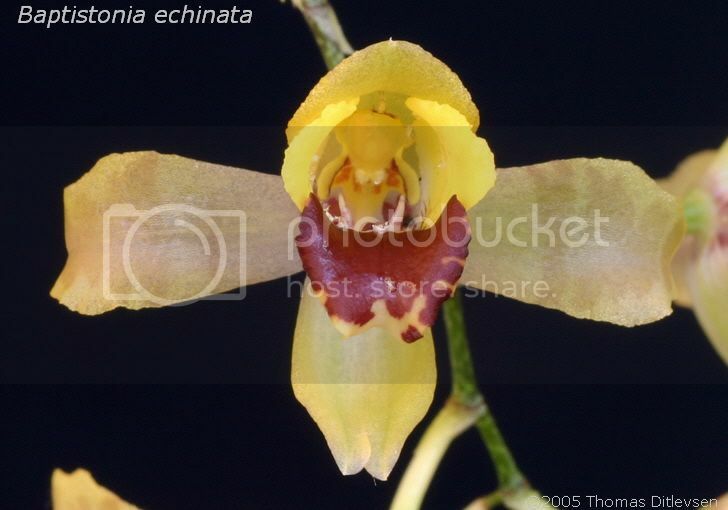 B. echinata is found in the lowland rainforest of the southern states Rio Grande do Sul and Santa Catarina of Brazil. 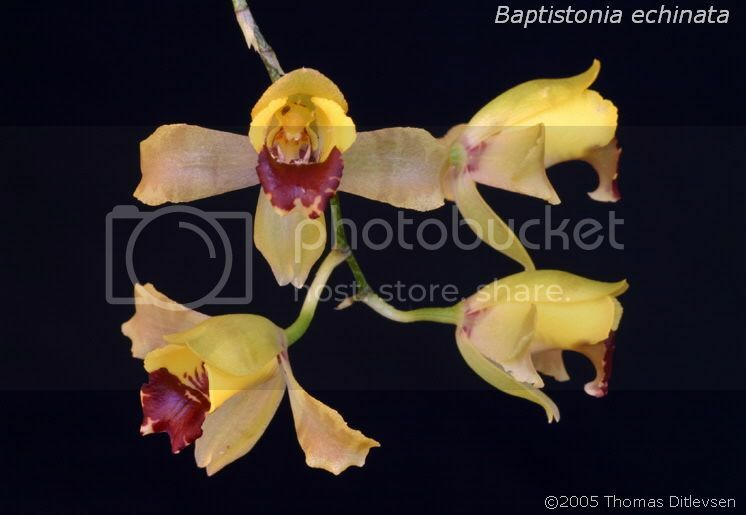 It seems it's now called Oncidium brunleesianum. B. echinata should be grown under moderate light with humid conditions and watered throughout the year but less in winter after the pseudobulbs have matured. Don't let it dry out completely. 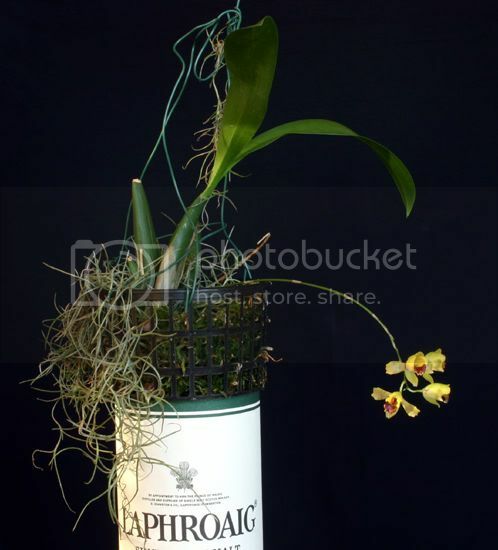 It is best grown intermediate to warm, mounted or in a basket with a well drained media. B. echinata usually produces a mass of flowers and the spike (s) can be up to 45cm long! Flower size: 2 - 2,5cm ( 3/4" - 1" ), pseudobulb: 7 - 7,5cm ( 3") and leaf size: 15cm ( 6" ).